An increase awareness of food intolerances and gut health have the public looking for solutions in pill form. Many companies claim that over-the-counter digestive enzyme supplements can help ease your gastrointestinal woes. Enzymes are special proteins that facilitate chemical reactions. Digestive enzymes are designed to break down food into smaller molecules that can be absorbed by the body. The human body naturally produces digestive enzymes in the mouth, stomach, and small intestine. Some people don’t have the digestive enzymes necessary to properly break down some modern foods. An example of this would be a lactose intolerant person. In addition, as we age we begin to produce lower amounts of digestive enzymes. By age 50 some people’s enzyme production has decreased by a full 50%. How can digestive enzyme supplements help? 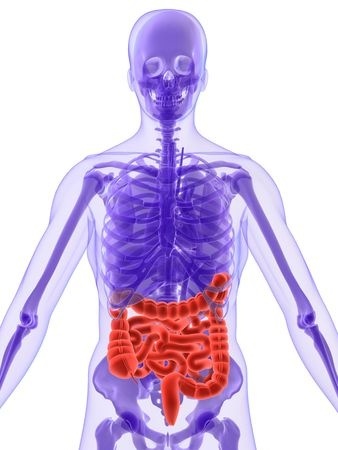 Digestive enzyme supplements can help resolve some health issues. However, it’s important to note that many of these enzyme products have not been studied in human trials. Until more research is conducted, many OTC digestive enzymes remain unproven. Lactase is the enzyme that is responsible for breaking down the sugar found in dairy products. Lactase production drops off in some people by the time they enter their teen’s or twenties. These individuals become Lactose Intolerant. People who are lactose intolerant may benefit from taking a lactase enzyme supplement when they consume dairy. If you consume a high-fiber diet, you might want to take a digestive enzyme supplement to help avoid gas and bloating. The enzyme alpha-galactosidase can be found in over the counter supplements like Beano. Alpha-galactosidase can assist the body in breaking down the fiber found in bean and cruciferous vegetables. As we age many of us produce less hydrochloric acid, an enzyme that our stomach uses to digest food. Some symptoms of low HCl include feeling bloated or belching after a meal, bad breath, stomach pain, or a desire to skip meals. If you believe you might be suffering from digestive distress related to your age, look for a multi-enzyme supplement that contains betaine HCl. If you think a digestive enzyme supplement could benefit you, talk it over with your Doctor. When shopping for supplements look for products that are made by brands with a history of creating high quality products. Ideally, the manufacturer should use an independent lab to test the quality of their supplements. Many digestive enzyme supplements are derived from mushrooms or have animal derivatives. If you are a vegan or have a mushroom allergy you want to pay special attention to the ingredients information on the product label. Digestive enzyme supplements are a relatively new treatment for a variety of digestive issues. These supplements have yielded some positive results for certain populations. Hopefully, future clinical research will give us more information about this promising therapy. If you think you might benefit from a digestive enzyme supplement, research your options and discuss them with a qualified professional.